Arrow #3 and I were at our study tables when suddenly Hubby came in a little excitedly. We wondered what was going on. Then Arrow #3 jumped because Hubby put something on the table next to her. 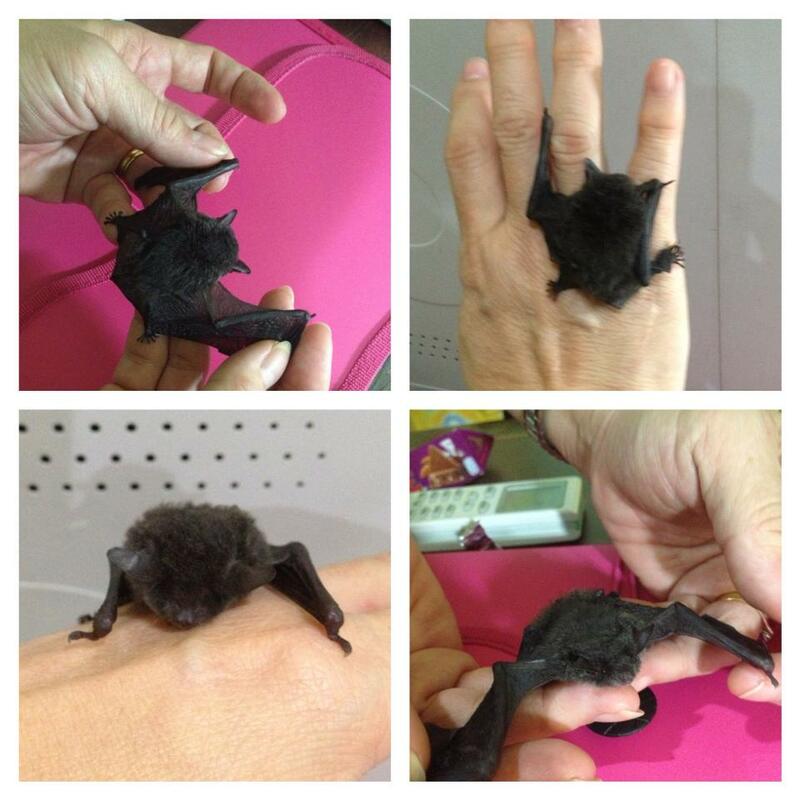 “OH!” changed to “Awwwww” when she realised it was a baby bat. But she still didn’t want to pick it up! Haha! Mama had to do it instead! Isn’t it so the cutest? We let it go after taking photos…. It was a nice though unexpected visit which led to short conversation and learning experience about bats for Arrow #3. Neat! This entry was posted on 17/03/2013 at 00:05 and is filed under Event, Family. You can follow any responses to this entry through the RSS 2.0 feed. You can leave a response, or trackback from your own site.